The Grilled Cheese Grill. It was sooo good. 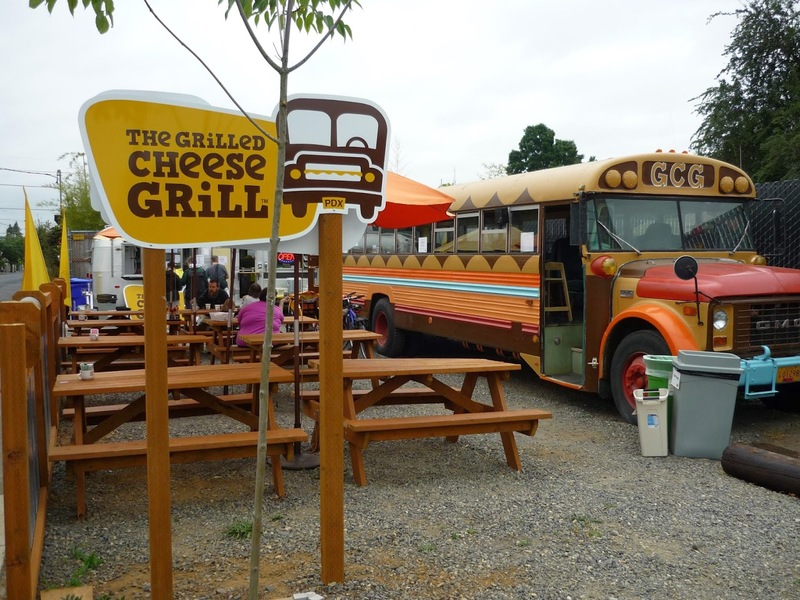 The kids loved it because it was grilled cheese. 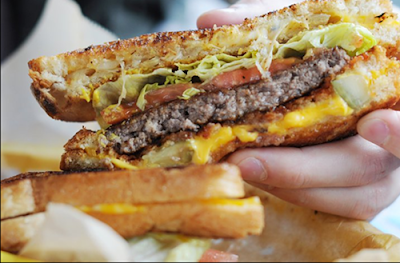 My husband and I loved it because we got two grilled cheese sandwiches with veggies and a burger patty in the middle. They call it the Cheesus. I got the Baby Cheesus that has only one grilled cheese sandwich with the burger in the middle. It filled us up. We liked it so much we went back the next day. The kids got to eat inside the bus, which they thought was the greatest thing ever. I thought it was pretty cool myself. Very Portland. I would only suggest one thing. Bring your own drink. A can of soda costs $1.25 and that's all they have to drink.